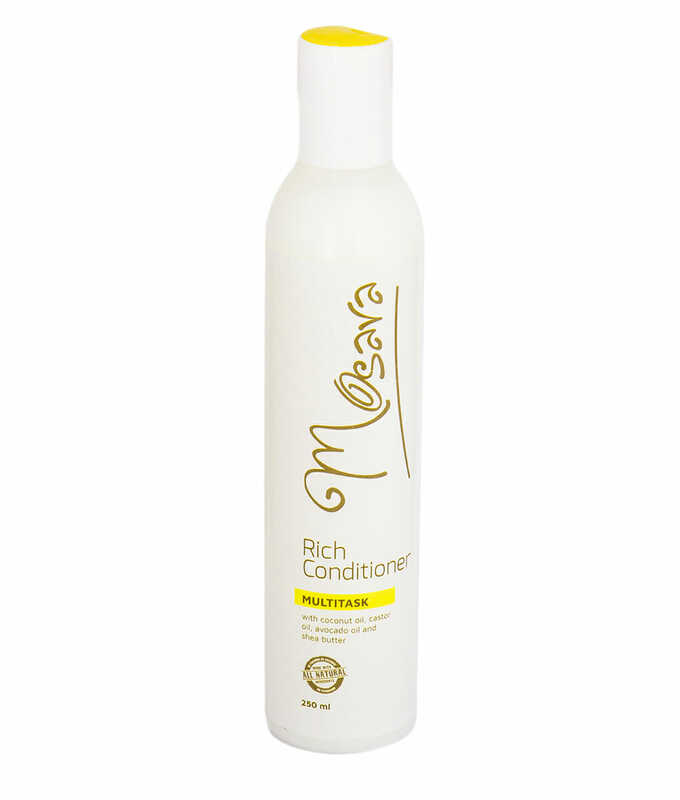 Revitalize your hair and get it back to its original radiance by adding the potent, fast action Mosara Rich Conditioner to your hair care regimen. 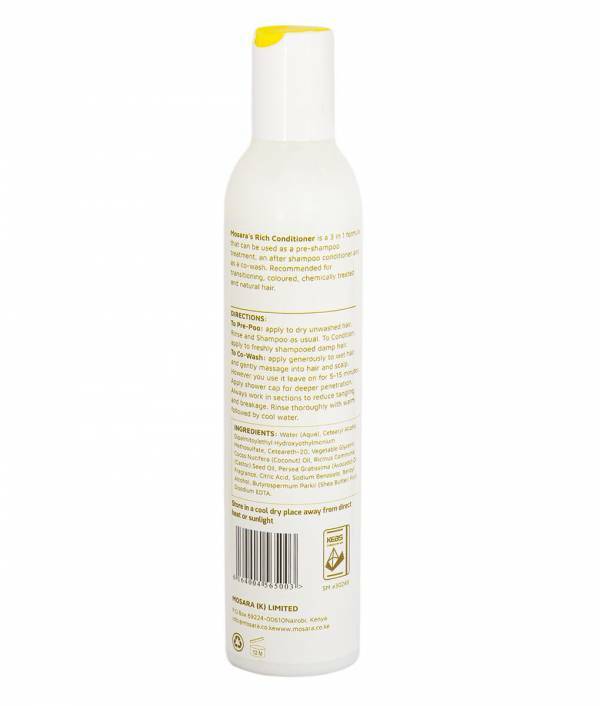 One truly multifunctional product, the conditioner’s robust all-natural formula means that it can be used as a pre-shampoo treatment, an after shampoo conditioner, or as a co-wash. 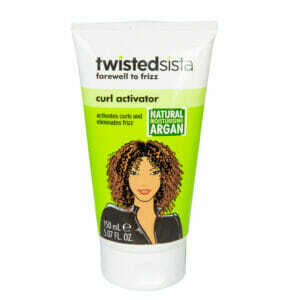 Concocted from a hair-nourishing mix of coconut oil, castor oil, avocado oil and essential oils, this Kenyan brand conditioner helps to re-moisturize dry hair while nourishing the hair strands for lasting softness and elasticity. 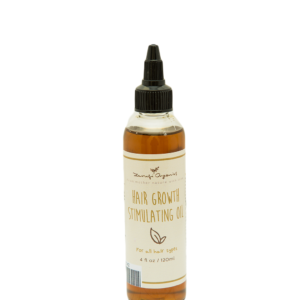 For a complete regenerative experience, the nourishing conditioner instantly replenishes dry, brittle, and dull hair with moisture while delivering nutrients deep into the hairs cortex. Keep your hair in top notch condition by using Mosara Rich Conditioner, whether with natural hair or chemically treated hair, conditioning the hair at least once every two weeks to elevate moisture levels and retain that original glossy shine. Mosara is my new favourite brand – I tried it yesterday for the first time and today my hair feels and looks so much softer! The ingredients are natural which can be really hard to find in Kenya, and I know that the ingredients in these products are good for me 🙂 And smells SO GOOD!